I got hold of Opera 10 the moment it was out. I upgraded over Opera 9.6 and I lost all my bookmarks, speed dials and wand passwords. Well, apart from that, I was greatly pleased with the revamped look of Opera. The new large tab view is amazing. And, the Turbo mode is one feature that everyone should have a look at. If you never ever tried Opera browser then you must try it, at least for the Turbo Mode feature. 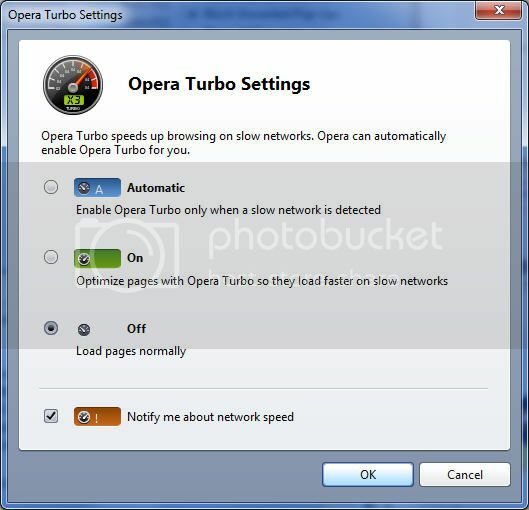 If you aren’t aware of the Turbo Mode then it’s a new feature in the Opera 10 Browser that allows a page to load really fast by compressing the images. When this mode is enabled, Opera’s servers will compress the images and other graphic elements from a webpage and send them to your browser, resulting in a faster load time. It is suitable for those users who are using a slow internet connection, such as dial-up connection or shared internet connection with slow speeds. How to Enable or Disable Turbo Mode? Now a new window will pop up just like the above. Here there are three options- ‘Automatic’, ‘On’ and ‘Off’. If you choose ‘Automatic’, Turbo mode will be enabled only when the internet speed is slow. If you choose ‘On’, Turbo mode will be ‘On’ every time you browse a website. To disable choose ‘Off’. The Turbo mode really enhances the loading speeds. But, sometimes the images aren’t clear as they are compressed.